Terra Staffing Services considers its employees partners, so that philosophy meshed perfectly with our client-partner philosophy at Ocreative. We developed its new brand look and feel, designing the logo and creating an identity standards guide, specifying color, fonts and imagery, to keep the branding consistent across multiple marketing medias. 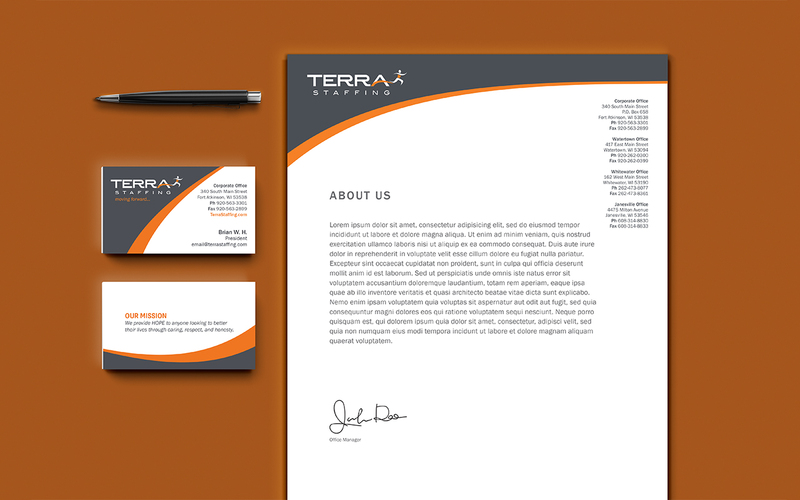 Terra Staffing is a staffing agency with four southeastern Wisconsin locations. Through caring, respect, and honesty, they provide hope to anyone looking for a new job and to better their lives.